Since establishing the Bristol value of a yacht is so vital to making a good purchasing decision, you need to get an accurate idea of what that value is. This has gotten a lot harder in the Internet age because there are many more vendors, more for-sale-by-owner sellers, and no central agency that is truly attempting to collect, verify and track prices. Sadly, some brokers have a vested interest in sustaining the value of a brand they sell new, so they fail to report sales. This has made it very difficult for lenders, insurers and legitimate yacht brokers to say with confidence what a given boat is worth. For this reason, the best option is to find a broker who specializes in the types of boats you are interested in—someone who makes a market in such boats on a daily basis and who has a strong grasp on what is selling and for how much and why. Of course, this must be a broker you can trust. Make sure you return your broker’s expertise with loyalty and it is likely that you will be happy with your purchase on multiple levels. Remember—it matters not what the boat is being offered for, but what the boat will sell for. To a certain extent, the price an owner or broker asks for a boat is irrelevant. The only thing that matters is what the boat is worth, based on what the market is paying for that type of boat and year, in that location, in that market. So how do you judge a good deal from a bad one? Does it merely boil down to buying the boat for considerably less than the asking price? A good deal can only be ascertained by three things: knowing the price of a Bristol example of that boat, knowing the defects that keep her from being Bristol, and knowing what it might cost to place her into Bristol condition. Getting the right assessment of the marketplace is critical to ensuring that you are truly “seeing” the value of the deal you just got. Many buyers feel they have to see a boat up close before they can make an offer on it. It is not uncommon for potential buyers from Europe or even Australia to flying to buy a yacht without having first done some basic homework. This can be a costly leap of faith. The smarter thing to do is to have the desired yacht evaluated prior to a survey, either by a trusted broker or a local surveyor. This does not mean that you need a complete survey, but having a set of pictures and a careful list of visible defects is helpful. Only after this is done should the potential buyer, in advance of a survey, make an offer on the boat pending inspection. There are several reasons to do this. First, you can find out what the seller is really prepared to sell for before you fly to see the boat. Second, you will have the boat under contract—and thus off the market—until you conduct a personal inspection and a survey that meets your satisfaction. And finally, this is the only risk-free way of knowing what a boat will sell for while being assured that it will be yours to buy if she is what you hope she is. It even allows you the time after the survey to insure it, document it, deliver it, etc. Culturally, buyers in New Zealand, South Africa and Australia buy “one-offs,” or custom boats, more frequently than American or European buyers. The upside to this is that local, customized boats will be easier to sell in New Zealand or Australia. The downside is that selling such a vessel in Europe or the U.S. will be harder and the downward pressure on the price will be extreme. Why? A custom boat will be quirky because whoever built it could not find their ideal boat from a production builder. The nuances that made it just right for the original owner often become troublesome for the next buyer. 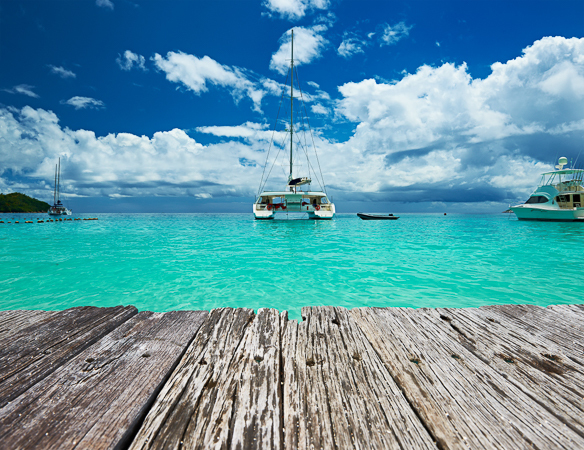 It takes a fully experienced professional to assess the value of a one-off boat. Also, one-off boats are often not built to any given survey code or standard. A one-off built in New Zealand, for example, is sometimes not built to either CE (European code) or ABYC (American code). When that boat goes up for sale in another part of the world, a surveyor will apply the codes of his classification society. This is often why one-offs are difficult to sell once they depart a specific region of the world. That said, the vast majority of very high-performance catamarans are often one-offs, or limited edition builds, simply because the buying pool is so small that builders cannot make them profitably for mass-production. But there is a big difference between selling a one-off from a well-known designer (i.e., Morrelli & Melvin, Mark Van Petegem and William Lauriot Prevost, Roger Hill, Alexander Simonisor Tony Grainger) and a little known designer or first-timer. It is also easier to sell a boat that was built at an established shipyard known for building high-quality custom catamarans on a limited scale. Take all this into consideration and draw on the council of a trusted advisor to make your decision. A licensed yacht broker (sadly, most countries allow people to become brokers without examinations, licenses, bonds or codes of ethics) has a fiduciary responsibility to honorably and ethically reveal information that could be detrimental to a buyer before an offer is made on a yacht. But, it is sometimes the case that a seller will not fully disclose such information to the broker, or downplays the extent of a yacht’s damage history. For this reason, it is important that the buyer hire a competent surveyor to protect his interests by assessing the boat’s true condition. If the boat needs to meet a standard, say for insurance purposes, then the surveyor may need a specific qualification. Ask yourself if your surveyor is experienced in the exact type of vessel you are considering before you hire him or her. After the survey, there will be a list of “issues” with the boat. This does not mean the boat should not be purchased, but the “issues” need to be considered in the final purchase price. 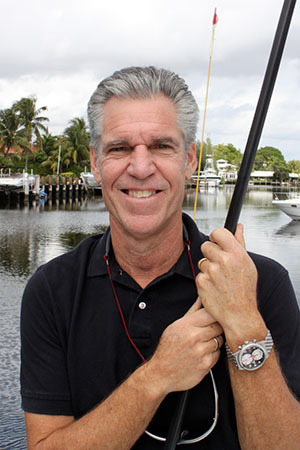 Ideally, you will find a surveyor who has experience surveying the type of boat you are buying. A good surveyor will hammer test the boat to check for potential areas of delamination, run a moisture meter to check for elevated readings in the yacht’s core, carefully inspect the bulkheads and thru-hull fittings, and test every mechanical device. If he is unsure of something or finds an issue of concern, he will sometimes recommend bringing in an expert for a second opinion, i.e. a rigging inspector or mechanic. On rare occasions, the surveyor may feel that some sort of invasive testing is required, and in this instance the seller will have to give permission to the buyer to do so. Do not assume it is the job of the surveyor to do anything beyond finding problems. Many surveyors are simply not qualified to place an accurate value on a used yacht because they themselves may not have reliable sold figures upon which to base their evaluation. Sadly, some surveyors’ lead buyers to reject boats they should have bought, and to accept boats they shouldn’t. In the end, remember that every boat has a value in the condition it is in. When you can establish that value properly, you’ll assume far less risk. Boats are specialized vessels. Catamarans, fishing skiffs and monohulls fetch radically different prices in the used boat market. Make sure your broker primarily sells the type of boat you wish to buy, and verify the agent has dedicated broker escrow accounts, a solid reputation, licenses, insurance and bonding. 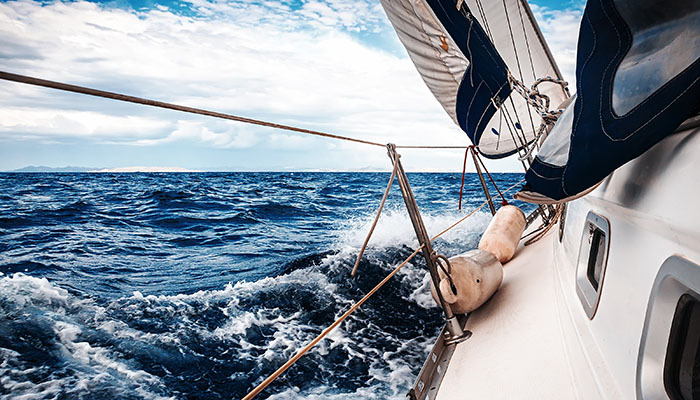 A professional broker should be able to provide you with verifiable “sold” comparable figures for the type of boat you are considering and help you understand the current market before you make an offer. He or she can tell you what the range of value is for the boat you are considering. A broker should also have each and every yacht pre-inspected and offer a written report before you estimate its value, make an offer or fly a long distance. Working with a real expert will make all the difference in the world. A good catamaran broker will refer sellers to other companies when they wish to sell a monohull or a power yacht, for instance, because he can’t add value for the seller or buyer when discussing such yachts. When I first started working with buyers or couples setting off on their dream voyage, I thought I could tell who would be successful and who would struggle to adapt. But I was often surprised by the people who make a great success of their life as cruisers, and equally surprised by those who fail to get the most enjoyment from their adventure son the water. I think a lot of people fail to take it easy enough at first, to slowly build their confidence and competency. If you are sailing on a boat with a fearful crew or skipper, it is going to be very hard to enjoy yourself. How you start the journey, and how you acclimate your family and friends or spouse to the cruising life, will make all the difference. 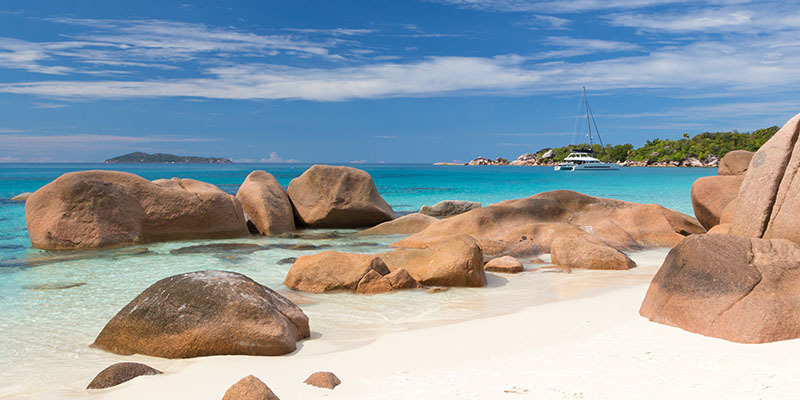 In this regard, the islands of the Caribbean are truly an ideal place to start, with their consistent weather and winds, clear water, easy navigation, and plenty of safe harbors to tuck into when the weather gets nasty. So take it easy, allow your confidence to grow, and expand your horizons when you know you are ready.